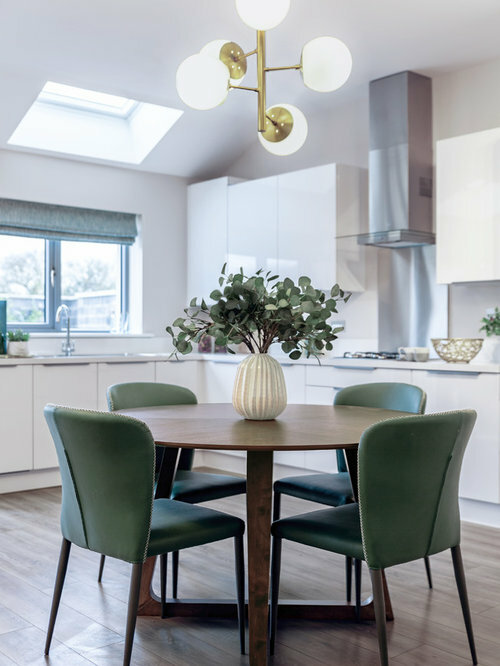 A spacious new build with high ceilings, this property was completely fitted out to suit a young family. 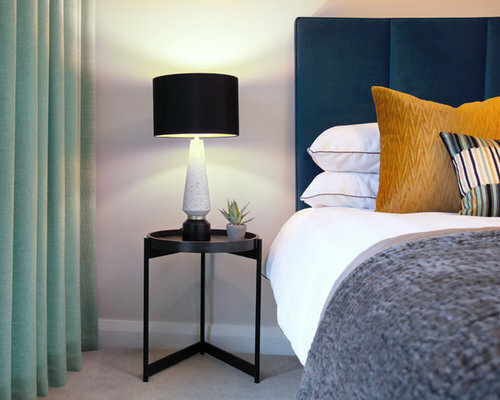 The design brief was modern in style and with colour accents to create interest. 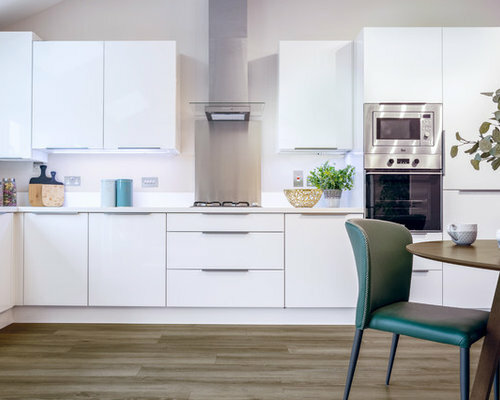 A smoked oak laminate floor downstairs is practical and hardwearing, with light toned walls throughout. 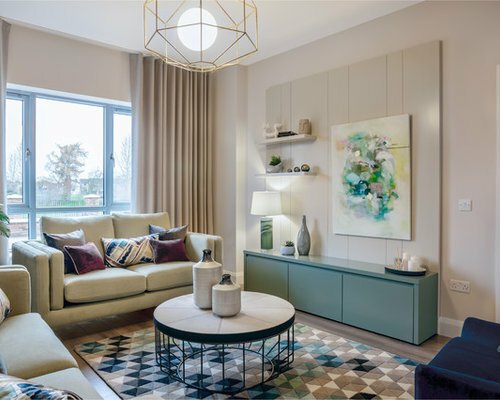 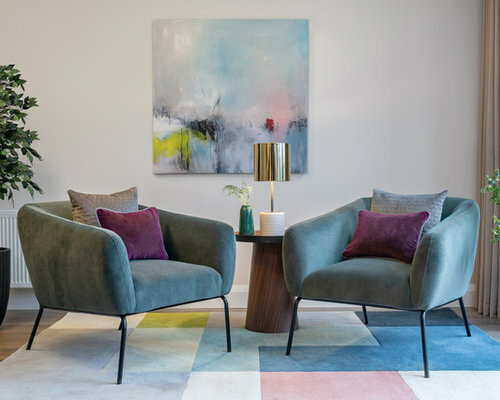 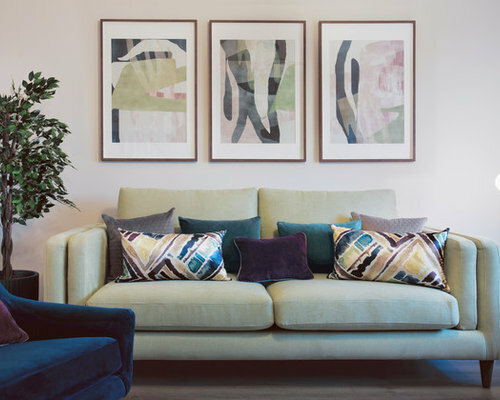 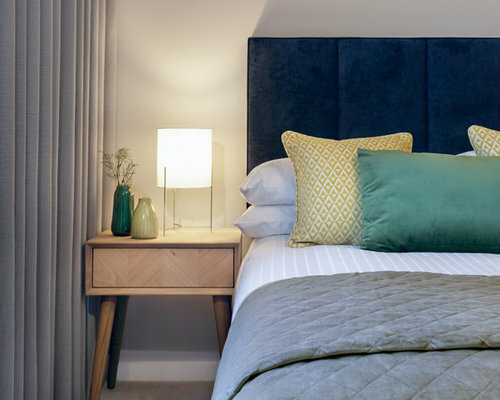 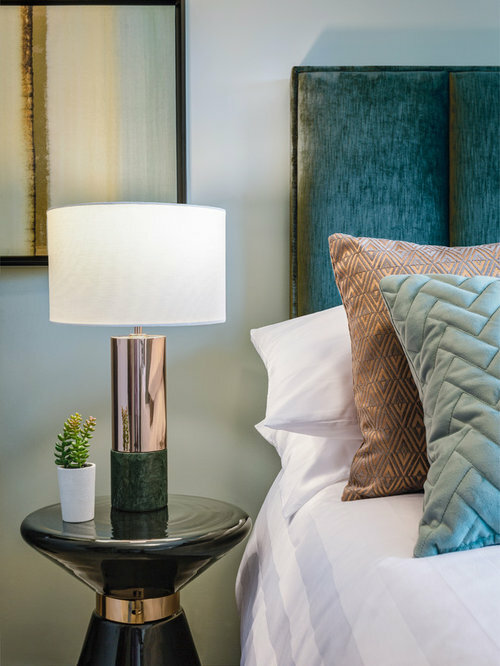 A colour palette of greens and blues invokes a calm yet cosy feel whilst the bespoke living room units are a practical and decorative feature. 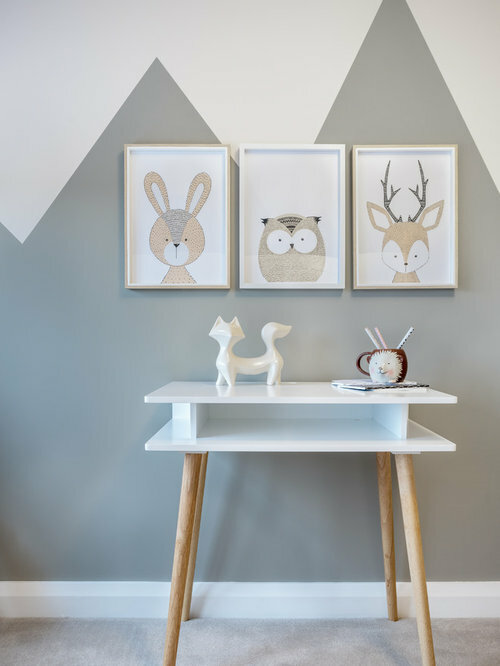 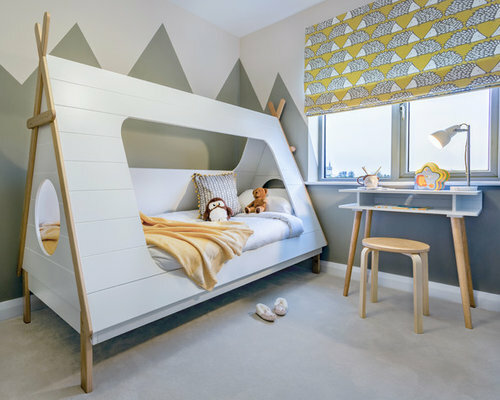 Colourful abstract artwork was carefully chosen to invigorate the spaces and a feature painted wall in the child's bedroom results in a magical escape for the small ones.